For your whole life, you’ve thought that you were an orphan, and that your parents were long gone. But one fateful night, a stranger emerges from your mirror claiming not only to be your uncle, but that your parents are actually still alive, only in a different world! Their home is under attack from an evil force, and you may be only one who stands any chance of stopping it! Some dark creature pulled your uncle back through the portal. To find out if what he said was true, you’ll have to follow deep into unknown territory! 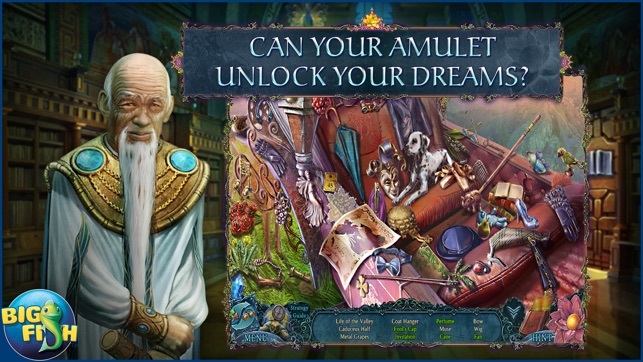 • CAN YOUR AMULET UNLOCK YOUR DREAMS? This family heirloom will come in handy in a world of fantastic hidden object scenes. 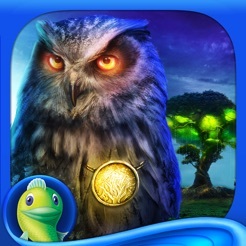 Use your owl’s special abilities to solve bizarre puzzles and magical mini-games. Unravel another part of the story and enjoy additional Collector’s Edition exclusives including collectible Leaves, morphing objects, and more! This game had a lot of good features, and the graphics were magnificent. It was lengthy, had labeled inventory with complex items, instantaneous loading between locations, and a good teleport map. There was plenty to do at each location, and tons of locations to unlock. 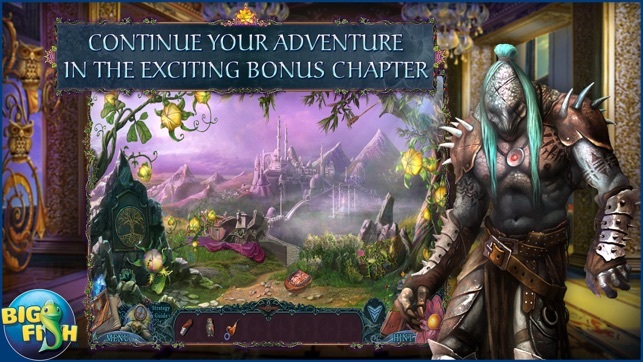 Not only was there a bonus adventure, but there was also a hidden chapter. That was a novelty! The only problem was that you had to collect 176 morphing leaves, which made the game exhausting and tedious rather than enjoyable. After you collected the leaves you had to first do a puzzle with them to access the hidden chapter, and the hidden chapter took 2 minutes to play! I feel like I struggled for nothing. The other issue with this game is that there was no variation in the HO puzzles; they were all word lists. At least there was the match-3 game as an alternative. This game also could have used a cohesive journal; I found the storyline a bit hard to follow. I felt that the game ran smoothly for the most part. There were not enough puzzles and games for me. I would have preferred less HO scenes and more puzzles. My true rating is 3.5 stars. I could kick myself for collecting all those leaves! Lynxie sends 💋❤😘 to the DTE and any gamer who collected every (expletive deleted) leaf! 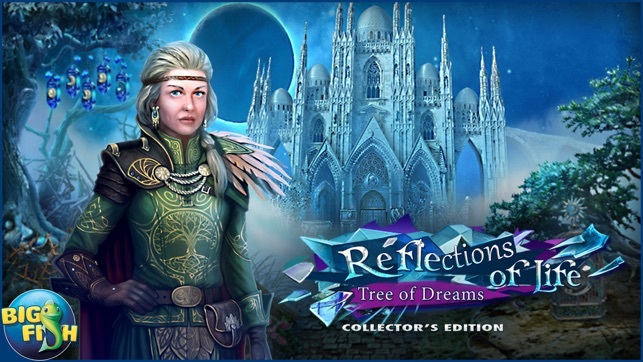 Lovely game, interesting concept, teleportation etc. Story is interesting and a little mysterious. I do like looking for the hidden leaves. 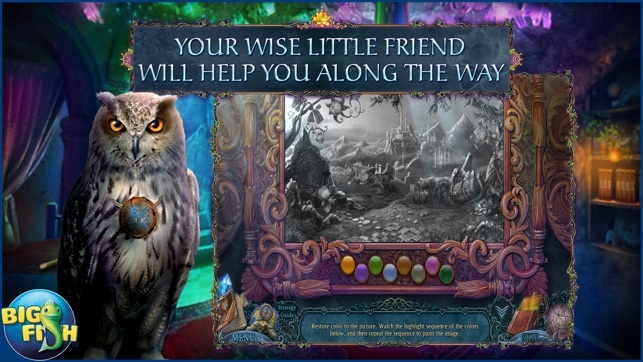 Some of the puzzles are lacking in accurate directions on what is required of you to complete them successfully the first time. I had to feel my way around in several which became frustrating. I hate hitting the hint button. I don't mind challenges but I do mind vague directions. The teleportation on the map is nice but in the second "room/world" I began having problems and it did not work for half of the rooms. The problem has continued on into the third room. I have a new iPad Pro. I don't think that it's the problem. 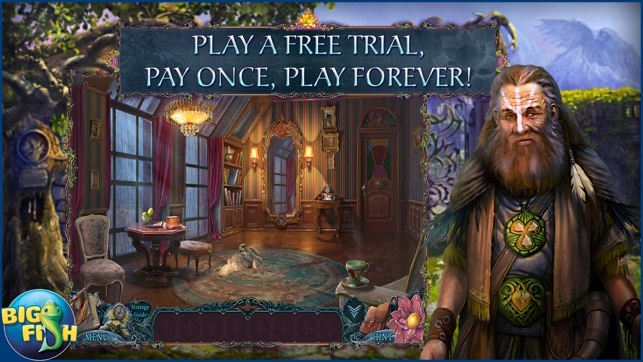 Also, when working some of the hidden object games, some movement is sluggish. As in combining objects to get the hidden target piece. I'm not finished yet and don't usually review until complete but I am starting to get frustrated. The graphics are so pretty I was hoping to be able to ignore the game glitches and poor directions. I play a lot of HO's, and really enjoyed this better than most. Range of games & challenges was great. The storyline, to me, was the best, cuz it wasn't focused on evil like most of these games. Although it still has an evil plot, it has more of a mystical theme that wasn't quite so heavy. I keep waiting for someone to get smart and start making adventure HO's rather than the constant theme of evil and crazies. It's getting REALLY old. I also loved the variety of animal friends & helpers in this one. Wish they had even gone further with that. It made it even more thrilling. I stopped two other HO's after starting this one, cuz I was bored out of my mind until I started this one, then played this straight through beginning to end. Well done! Please do more non-evil adventures with critters!